Sorry for keeping this a secret for so long! :) We needed some time to tell friends & family and just soak in the goodness//excitement of preparing for a Baby BOY! Since we found out, I've felt him kick for the first time (amazing. simply amazing!) and I've bought his first pair of booties. We have some names picked out, but have decided not to decide on a name until we see his sweet little face. Speaking of, I told a lady recently about that plan to wait until we see him to name him. She said, "That's what I do with cats." Anywho, I can't wait to create this little man's nursery and prepare his space in our home. AHHH! 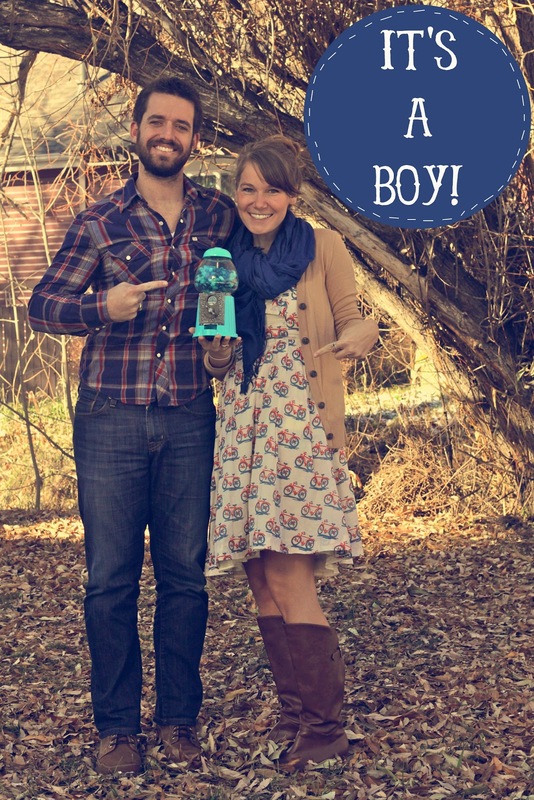 WE'RE HAVING A BOY! Yay! Congratulations! Boys are the absolute BEST. You are in for so much fun! Yaaaaay! We have looooved having a boy (yes, I know I'd be saying the same thing about a girl...). You'll be amazed at how "boyish" he is from the very beginning :). Such fun!! How exciting! I love having a baby boy! The mother and son bond is so special! Congrats, girl! congrats congrats! so happy and sweet! I can only imagine the moments you will be saying , oh sweet joy aloud as you look at your sweet baby boy. boys are the absolute BEST. (i'm not biased at ALL!) congrats! Ohhh, congrats Kim!!! Boys are so sweet and so amazing. You're going to love that little man more than you can imagine! Very, very exciting! Congratulations! I love that you're waiting to name him! How sweet. Congratulations Kim! There is a sweet, wild, hilarious spirit that boys have and I'm glad you get to enjoy that :) I am a mama to a boy as well, they are a lot of fun! Congrats! We're finding out what our little one is today and I'm totally pumped :) You're going to make a great mom to that sweet boy! Congratulations! You two are so good, and I'm excited for you! Too cute. Congrats! I can't wait to have one of my own. But for now, I will just read about everyone else's baby adventures and live vicariously. Crazy cat people always saying the strangest things. awww, so sweet. boys are so much fun! congratulations!! and really, people say the weirdest things sometimes! cats? YAY for little boys. the little one i nannied for, the day he came out of the hospital...he melted my heart. I am so happy for you! That cats comments made me giggle, there's really NO response to that. And congrats on the boy, by the way. I have twin boys and I'd say they're the best! So exciting! I love having a little boy. (Of course, I would have been just peachy with a baby girl too...). Enjoy every minute of it! Yeah- the lady with the cats- so funny. What is it about pregnancy that causes people to lose their filters?? congrats!!! I love having a little boy your gonna love being a mom its the best! Stumbled upon your blog just the other day... I'm only a few weeks further along in my pregnancy but also with a boy! Such a neat experience! :) Happy for you & love your blog! And the cat lady cracked me up. So excited for you guys! Boys are awesome (and much less dramatic)!! WOOO HOOOO! So so great! Boys are so super fun! So excited for you!!!! 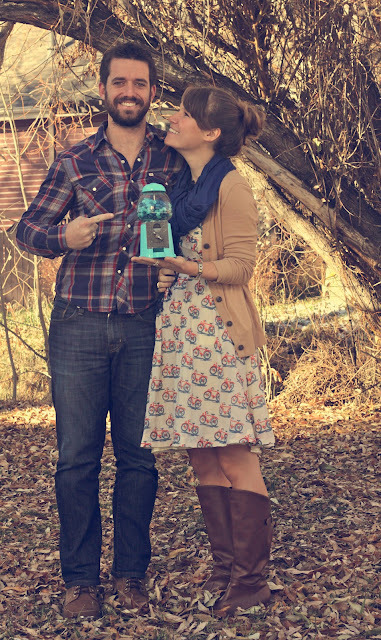 The world needs lots of sweet boys that can marry all my girls ;) Can't wait to see his sweet face! Hooray! An adorable boy is what I was blessed with almost 2 years ago now... and I can say with all my heart that there is NOTHING better than a little guy to call your own. It's THE best! Congratulations!!!! Congratulations!! This is all so exciting! I wish you and your family good luck!! :D Also I really really love your blog! Of course either way is exciting :) but it's EXCITING! Congratulations.